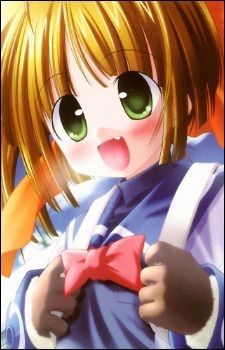 A protagonist both in the anime and the game by minori. She is the daughter of the school's principal, who collapsed due to a sudden illness. In the game she is a close friend of Nagomi Fujikura and Yuzuki Kaede. She also befriends the main character Tatsuki Sakurano, after he comes to teach at the all-girl high school after a rejection from the woman he loved, and a relationship develops between them (depends on the choices made in the interactive novel).